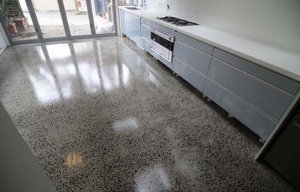 Polished concrete is a wonderful flooring alternative to tiles, carpets or timber floors. 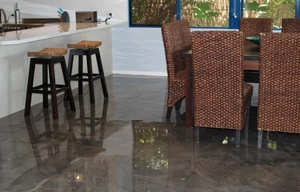 This is a spectacular flooring feature which will complement and enhance the overall design of your home or commercial premises. 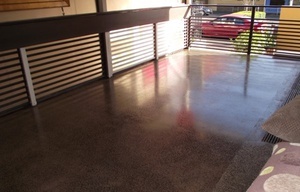 Our process involves fine grinding of the concrete surface and aggregate to create an extremely smooth finish. 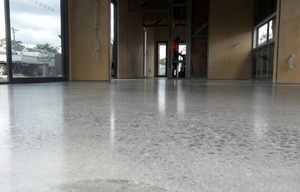 This highlights the beautiful natural colours of stone aggregate, and emphasises grey hues in concrete. 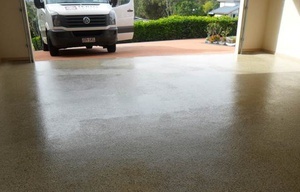 We then carefully apply a clear and durable sealer to protect the surface from stains and spillage. It is like polishing a rough gem stone to display its true colours and patterns, resulting in a striking appearance. 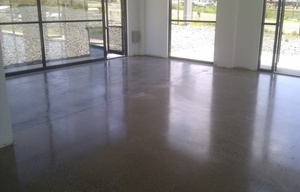 It's important to us that you make the right decision about polished concrete. Call or email us for obligation free advice or a no pressure quote.